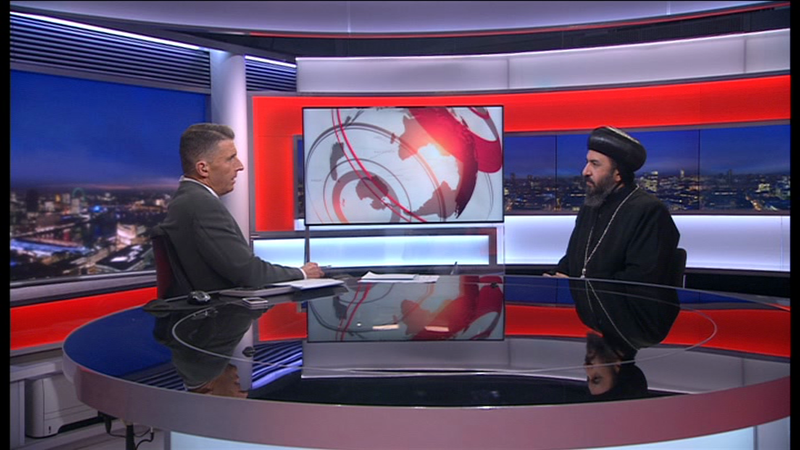 It is with deep feelings of sorrow and pain that we received confirmation earlier this evening of the brutal murder of Coptic Christians in Libya at the hands of Daesh (IS). While every life is sacred and every death tragic, the particular brutality demonstrated in this instance and others like it shows not only a disregard for life but a gross misunderstanding of its sanctity and equal value in every person. Our prayers are particularly with the families of these young Coptic men, who were fathers, brothers, sons and friends of many within their tight-knit rural communities, in which their absence will cause significant loss and sorrow. Their families are not only deprived of breadwinners who had travelled to Libya to support them, but of the joy that they bring when they return. While it may seem illogical or incomprehensible, we also pray for those who have carried out these horrific crimes, that the value of God's creation and human life may become more evident to them, and in this realisation, that the wider effects of pain brought by this and other acts of brutality may be realised and avoided. We pray for an end to the dehumanisation of captives who become mere commodities to be bartered, traded and negotiated with. We cannot remember our Coptic brothers without also remembering all those who have lost their lives in equally brutal circumstances: journalists, aid workers, medical staff, religious leaders, a young pilot and communities that are considered incompatible with a fringe and intolerant element. In the midst of this sorrow however, we must continue to dig deeper for the joy that comes from an understanding that this life is but a "vapour that appears for a little time and then vanishes away" (James 4:14), and that true glory and joy are found in an eternal life prepared for all those who live in and for love and peace. It is only through this understanding that we can continue to live according to the words of 1 Peter 3:15 as demonstrated in the life and witness of the Coptic Church and her children over centuries, "...always be ready to give a defense to everyone who asks you a reason for the hope that is in you..."